If you ask me what's on the top of my bucket travel list, I will say it's Palawan. I really want to visit Palawan, together with Daddy A and Matthew of course. Palawan is the largest province based on the total area of jurisdiction. It is an island province located in MIMAROPA region. Puerto Princesa City is its capital city. Actually, I have heard and read so much about how beautiful Palawan is. Making me more excited to go there the soonest possible time, haha. It would be really great if I'll be able to book a flight to Puerto Princesa on a budget via Traveloka. But for the meantime, I list down my top 5 must visit places in Palawan. El Nido is one of the most beautiful places in the Philippines and it ranked #1 in Conde Nast Traveler's List of 20 Most Beautiful Beaches in the World. 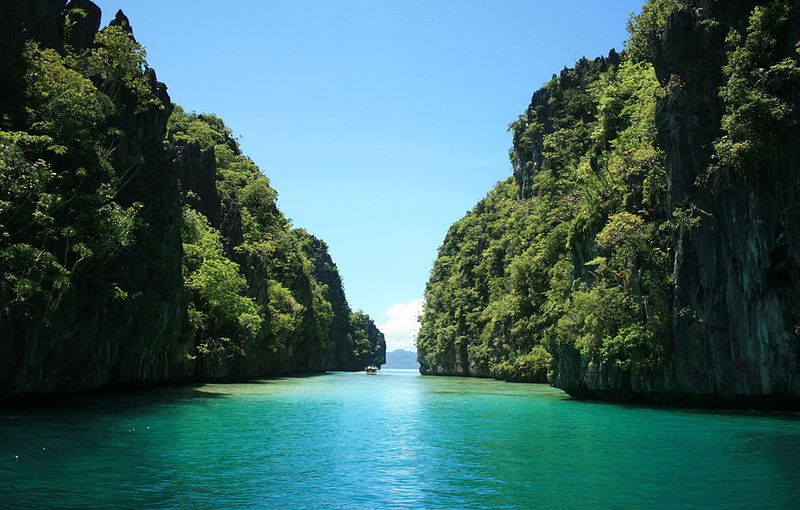 That's why El Nido is one of the most visited places in Palawan for its "extraordinary natural splendor and ecosystem." The best months to visit El Nido is during dry season between November and May, when it's great to do diving and snorkeling, do island hoping or simple just relaxing on the beach. Puerto Princesa Subterranean River National Park, also called Puerto Princesa Underground River, holds the record of the longest underground river in the Philippines and is one of the longest underground river in the world. It features limestone karts mountain landscape, with very famous stalactites, stalagmites and rock formations. 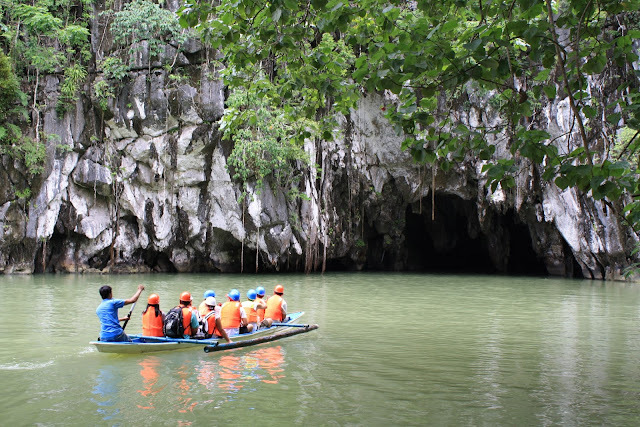 By the way, in 2012, Puerto Princesa Underground River was confirmed as one of the New7Wonders of Nature, along with the Amazonia, Halong Bay, Iguazu Falls, Jeju Island, Komodo Island, and Table Mountain. Coron is another must visit place in Palawan. 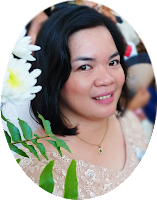 Because the direct flight from Manila (NAIA) to Coron (Busuanga Airport-Francisco B. Reyes Airport) is very convenient, it allows local and foreign visitors frequent visits in this island. Coron island boasts a variety of colorful marine like making it the best spot for diving and snorkeling. 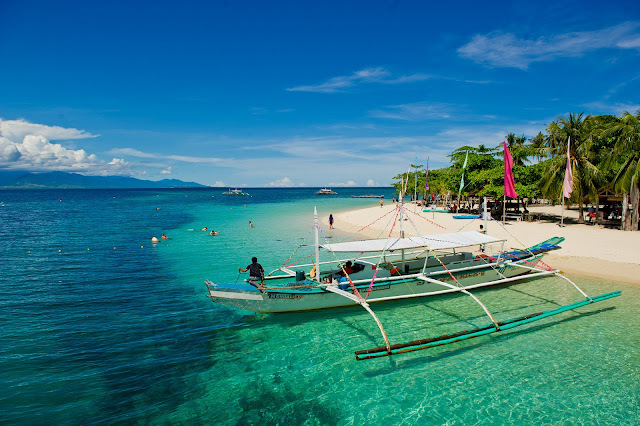 Honda Bay is a beautiful island with white sand beaches that is just about 30 minutes travel from Puerto Princesa. This is a great place for swimming and snorkeling because its clear water allows you to see and enjoy many corals, starfish and other marine life. Also, boats can be rented for a day to travel to nearby islands. Tubbataha Reef is known as the very best site of diving in Philippines and one of the top diving spots in the world. Located in the middle of the Coral Triangle, which the highest marine biodiversity one earth, the abundance of marine life found here is simple amazing. 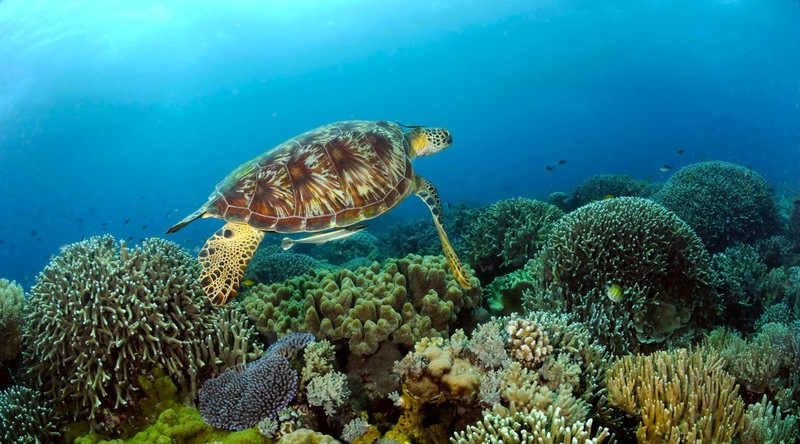 In 1993, the UNESCO declared the Tubbataha Reefs National Park as a World Heritage Site for its unique example of an atoll reef with a very high density of marine species with the North Islet serving as a nesting site for birds and marine turtles. That's my lip of top 5 must visit places in Palawan but there are so much to discover in this paradise. See you in Palawan soon! 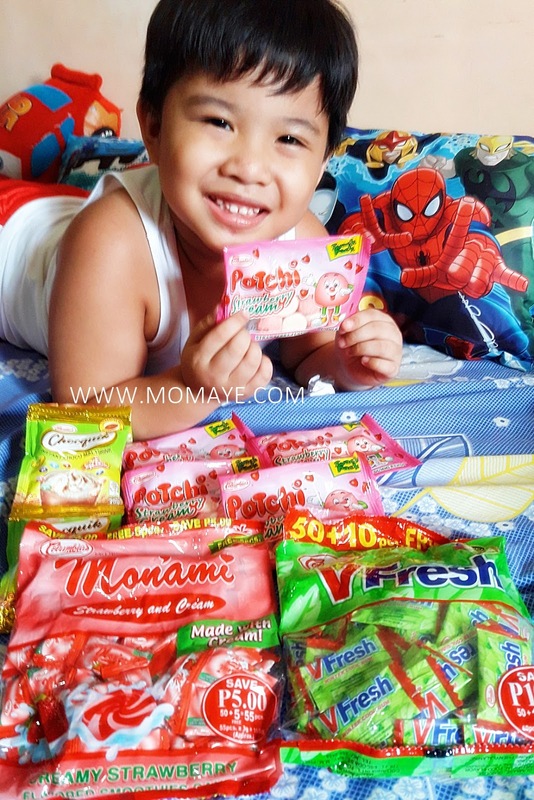 One fine afternoon, when Matthew and I were preparing for his second mastery examination, we received these goodies from Columbia International Food Products Inc.
Our little boy who loves sweets and candies was so happy. 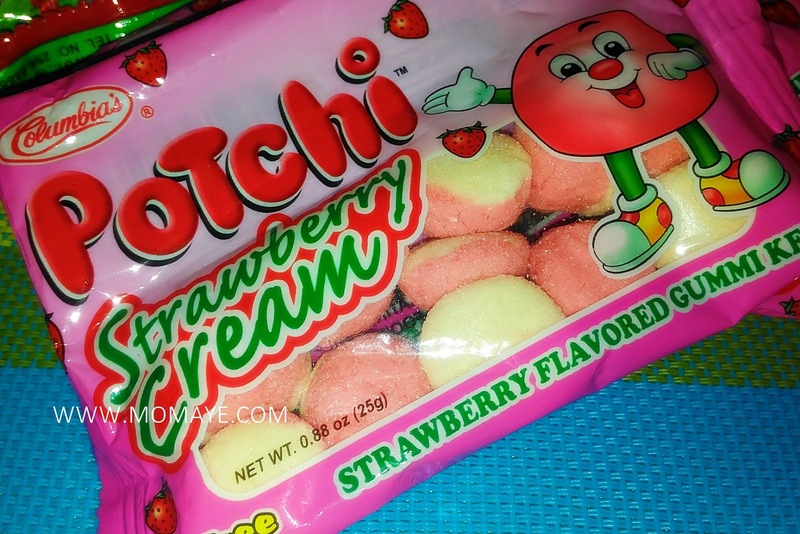 If you are batang 90's then you know Potchi Strawberry Flavored Gummi Kendi very well, hehe. 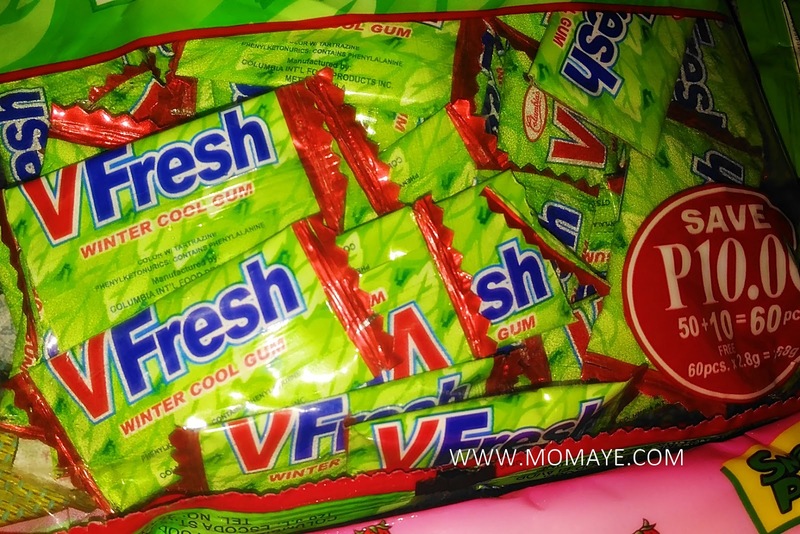 And this VFresh Winter Cool Gum too. "Columbia confectioneries making every moments be extra ordinary by giving you different layer of sweetness." And here's the all time favorite choco drink. 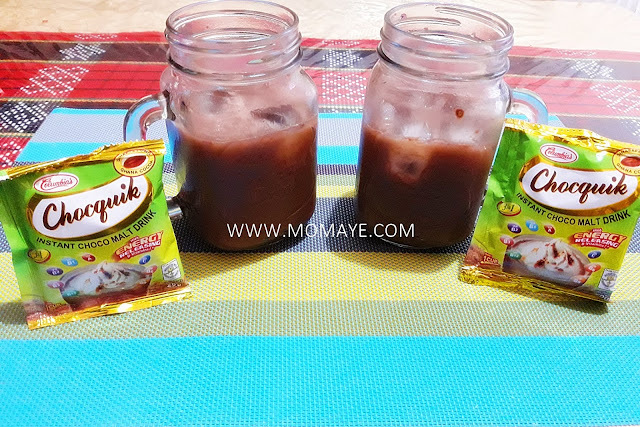 Super approve kay bulilit itong Chocquik Instant Choco Malt Drink. Dearies, did you know that Columbia International Food Products, Inc. was established in 1937? Oh my, 80 years na sila next year! That's why they are known for providing delectable sweets na tamang tama sa ating panlasa. So thank you so much Columbia Food for the sweetness that makes our childhood extra special! To know more about Columbia Food products, visit their official website: www.columbiafood.com.ph and get updates from their Facebook page: www.facebook.com/columbiafoodph. 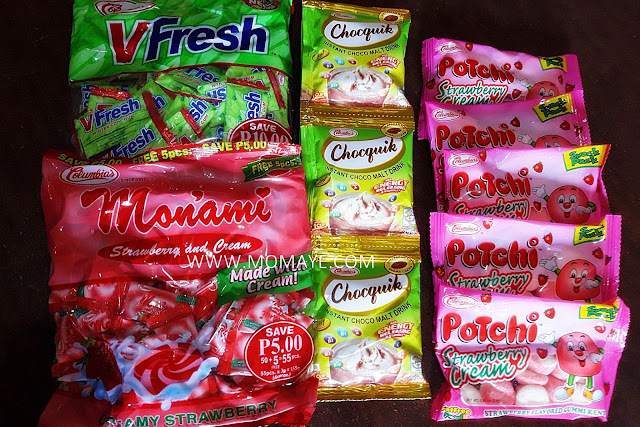 About Columbia International Food Products, Inc.
Columbia International Food Products, Inc. was established in 1937 and has become known for providing delectable sweets apt to the Filipino palate. 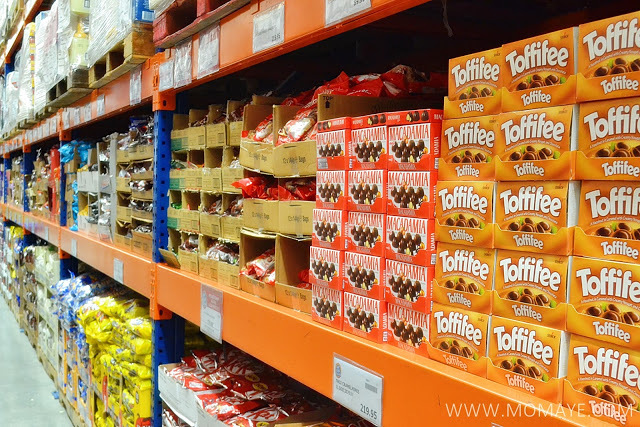 For the past decades in the business, the company has been recognized as one of the top candy and confectionery manufacturer and was included in the Top 1000 Corporations in the country. 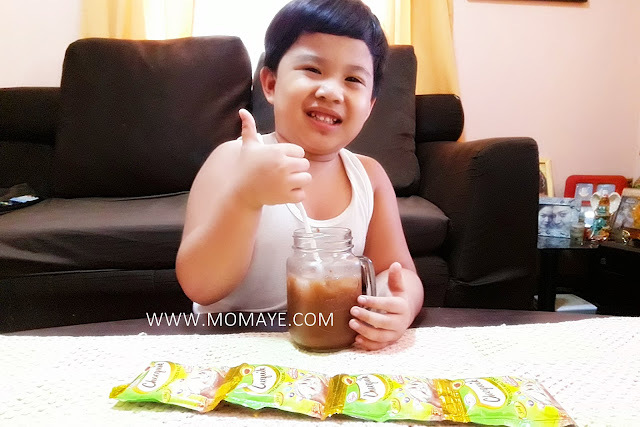 At present, the company continues to create new products to lift Filipino standards to global levels. We are proud to have produced popular product line-ups which have won the trust and respect of satisfied consumers in the Philippines. Quality and value for money are what comes to mind when you mention Columbia. 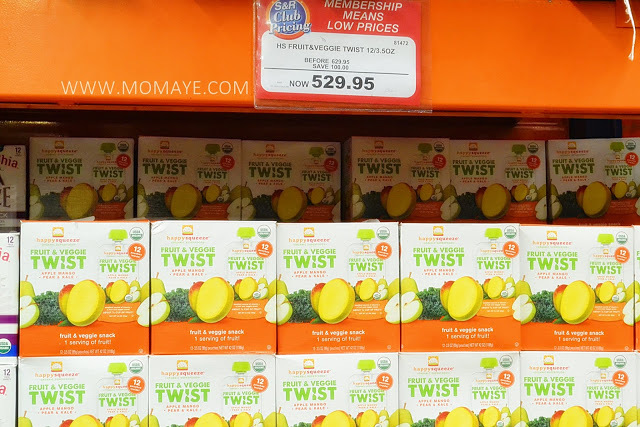 Consumers have come to trust the brand for its capability to provide affordable quality treats. Hence, whenever people see the Columbia red and white logo, they automatically think of the delicious sweets that they grew up with. Consumers can’t help but feel proud, for it is a brand which they consider their own, a truly Pinoy brand. It's been ages! Charot! But it's true I have so many back logs. I've been meaning to make posts but there are so many happenings in my life in the past weeks that makes my life even busier. Also, I avoid blogging at home especially when Matthew is around. I refrain from opening my laptop since he asked me one time why I still work at home when I am already working all day at the laboratory. True naman, I should not be working at home because home means family. With this, I am thinking how I can still blog without compromising the time I have for Matthew. I have so much to share. For the mean time, I sneak once in a while during break time. 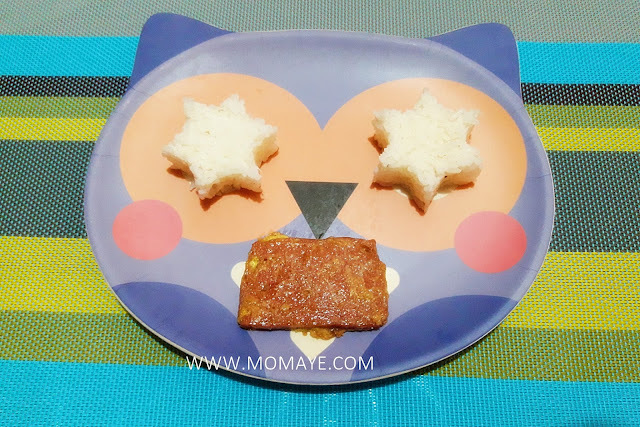 Or the best that I can do is to wake very very early in the morning and try to blog. That is if I can wake up early, haha. 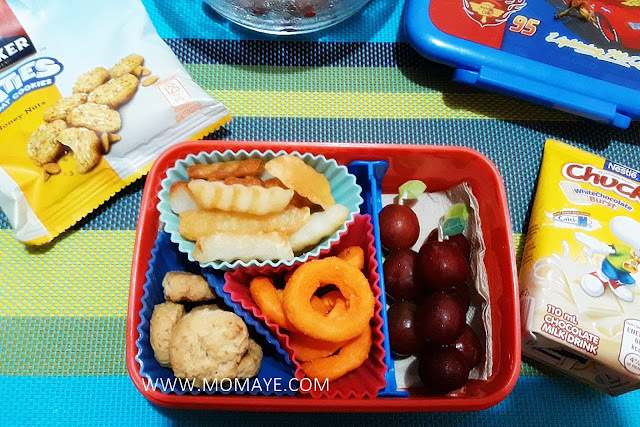 Anyways, this is long overdue so let me share our weekly bento baon #4. To start the busy week, I prepared this for his breakfast. 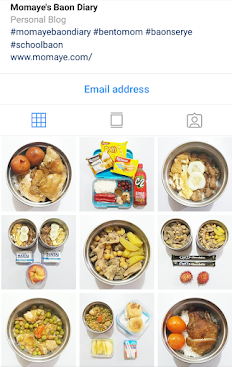 You know, this is my way to make bawi to Matthew and to show him that I really give him time by preparing his meal and baon. No fruits because Matthew said he doesn't like fruits in the morning. Just as the boss said. For the first bento baon of the week, Daddy baked some cookies so I made this with DIY bento picks. Daddy make this apple swan naman. 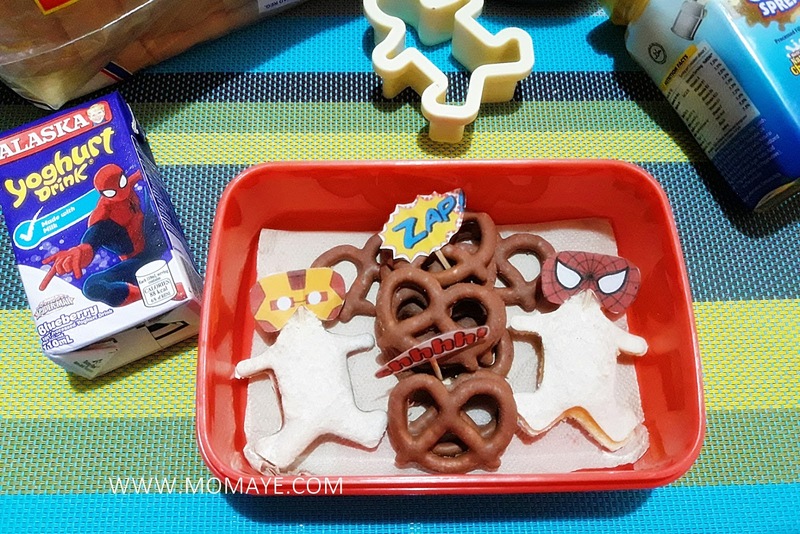 Next is this as per his request, with DIY Iron Man and Spider Man picks. 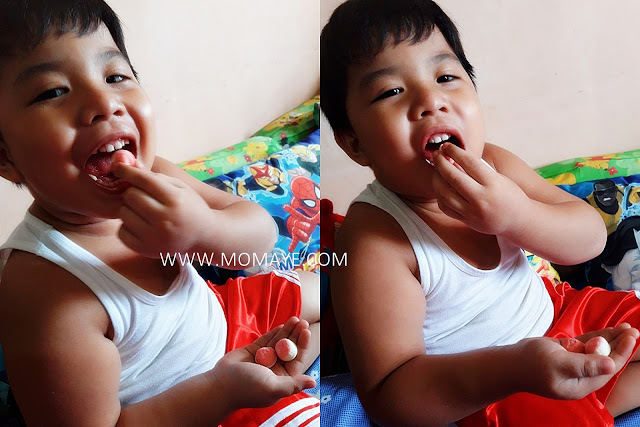 Matthew enjoyed our DIY picks kaya kahit mahirap I make his requests. Then, I prepared pizza bread with DIY Super Man and the Avengers picks. Finally, #tgif cheat day for Matthew. 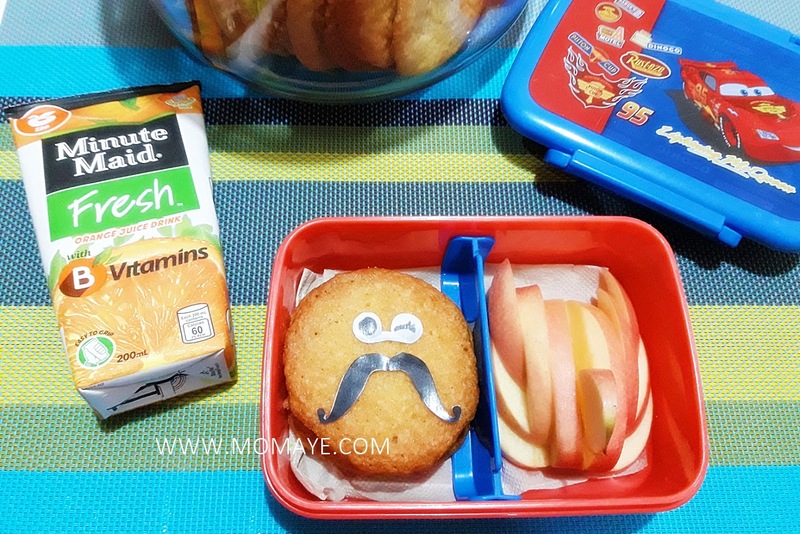 There you go the bento baon for week #4. 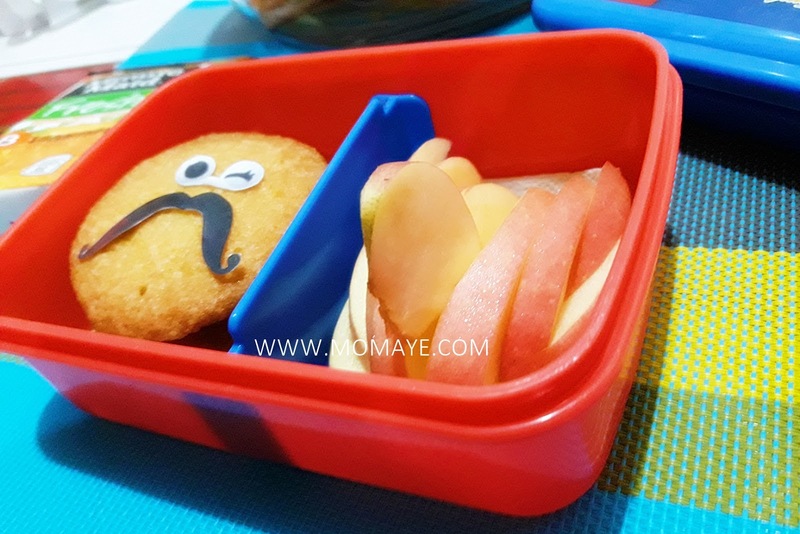 Doing bento picks is very addictive but it's also time consuming so I plan to buy real bento picks. Yun lang nga I fear he might lose them again, sayang naman. By the way, have you start your Christmas shopping already? Like what I have said (read: A Guitar or A Drum Set? ), I am starting to make my Christmas gift list. I already have a prospect gift for Matthew that I saw at the musicians friend. Yup, I have decided that I'll buy the guitar as Matthew's Christmas gift. One down, more to go... I still have 95 days to go before Christmas. Oh only 95 days, I need to hurry now. Haha! Enjoy the rest of the week dearies! 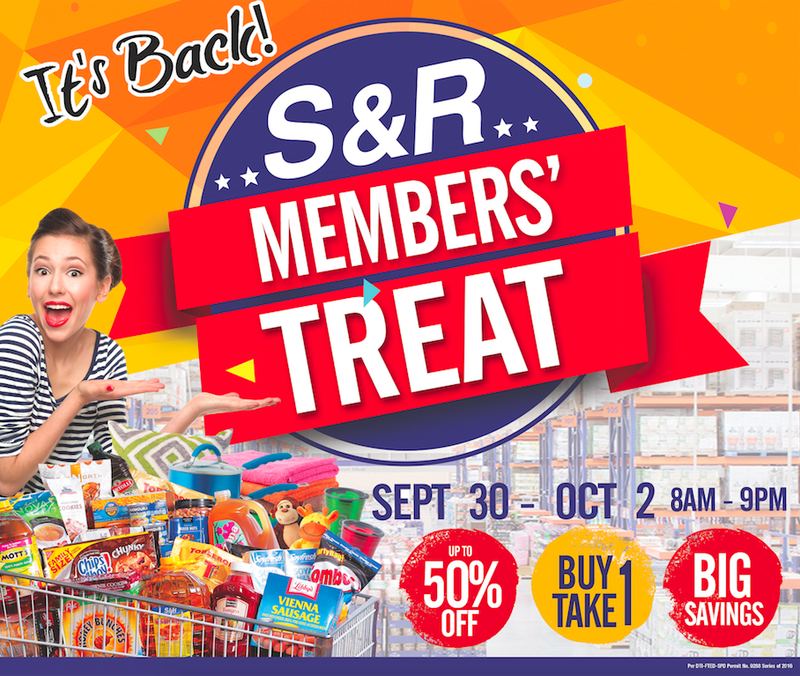 The S&R Membership Members' Treat is back! Now, tell me sino ba hindi magiging excited? 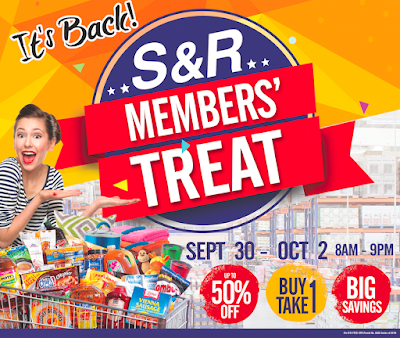 Yes, I am super excited for this coming S&R Membership sale this September 30 until October 2! I can't wait for that day, although I don't know yet what are the items on sale but I made my own wishlist na sana maisama sa sale. Remember this Simple Touch Air Cooker? Ay bet na bet ko ito talaga that's why it's on top of my sale wish list. 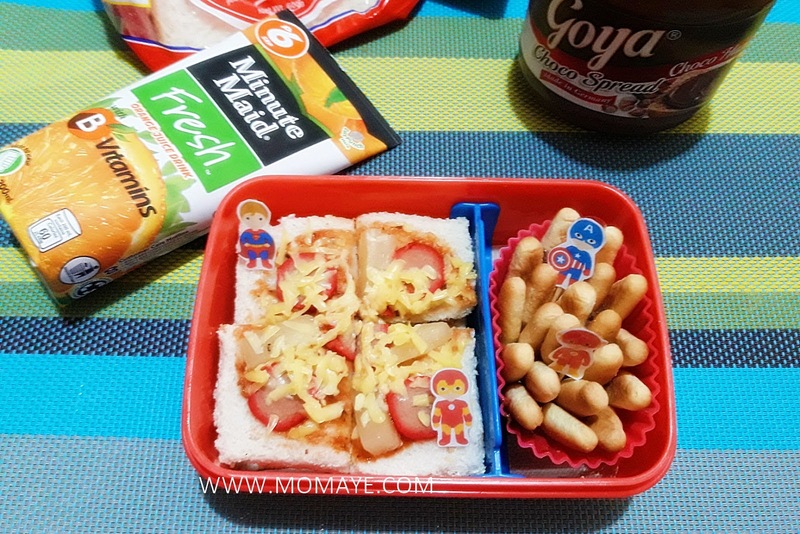 Next naman is this Tough Mama 3-in-1 Sandwich Maker. 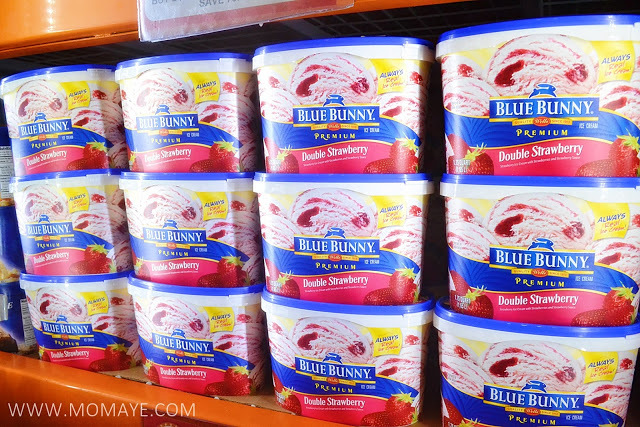 How I wish Blue Bunny Ice Cream is on sale too. 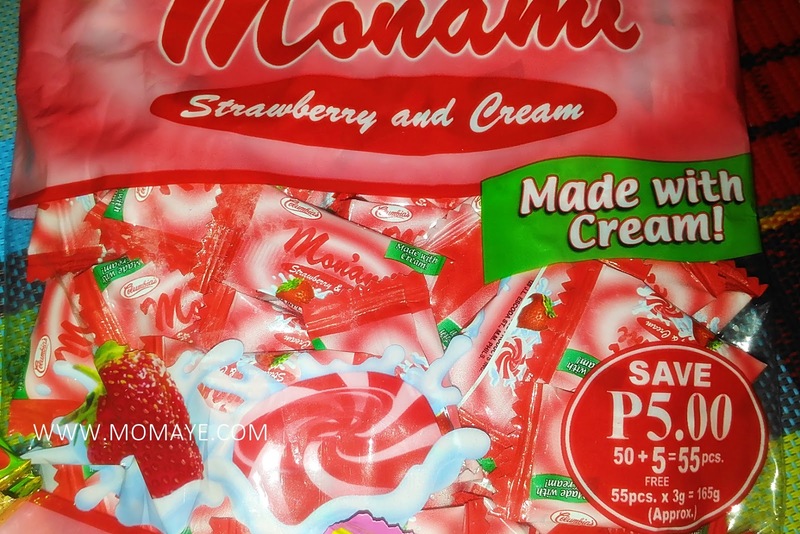 Pati na din itong Melona Ice Cream Bar. And this Hiland Premium Ice Cream. Yummy kahit the weather is getting cold na. I am hoping that cakes will be included in the coming sale. Kasama din sana ang mga chocolate chips. 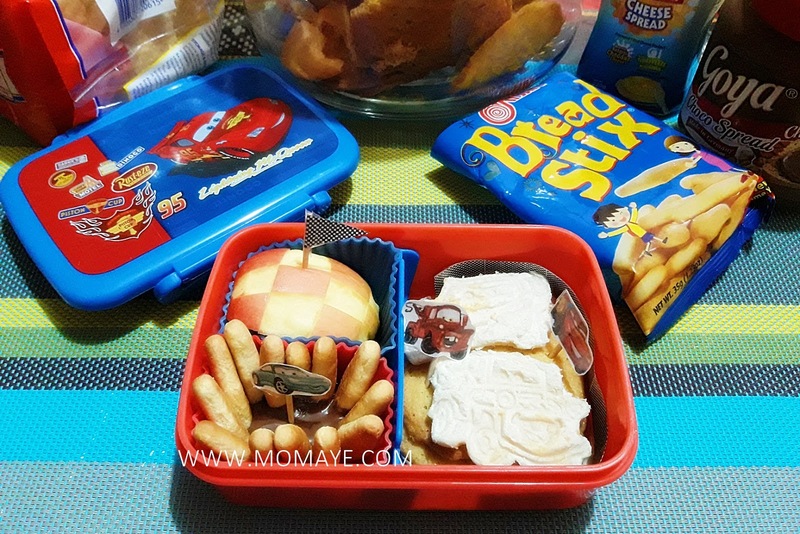 These glazed donuts, perfect pang-baon ng aming bulilit. And these lemon and banana loaves too. 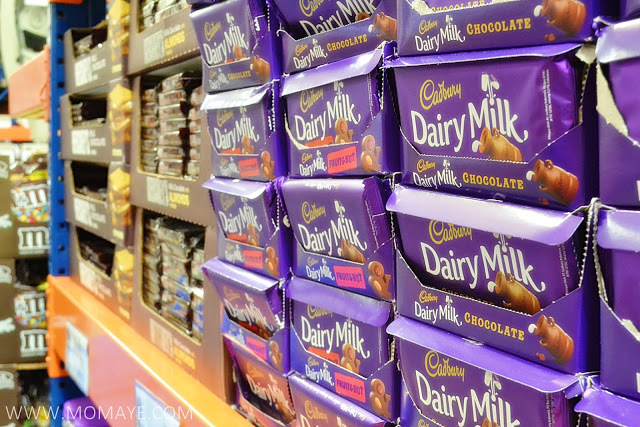 To complete my sweet craving, I wish imported chocolates are on sale too. 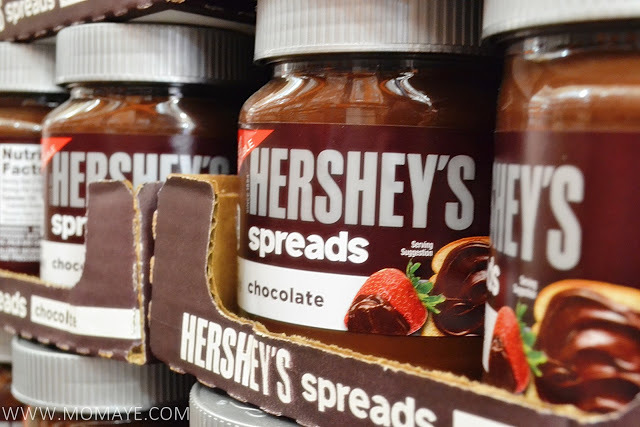 Of course this Hershey's Spreads Chocolate is love! Kasama din sana sa sale ang Happy Squeeze Fruit & Veggie Twist for Matthew's daily baon. Or this Kool-Aid Tropical Punch, which reminds me of my childhood. This definitely goes well with chips. Puro food ba? 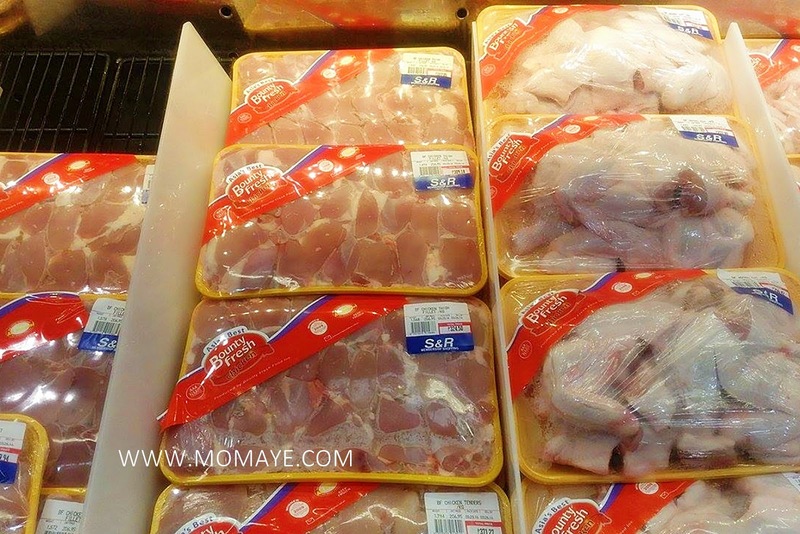 Heto pa, our very own Bounty Fresh Chicken. This Montana 80% Lean Ground Pork too. To make it balance, Fruits & Vegetables din sana. Maiba naman, I will definitely buy this Treadmill Proform with 50% off the price. I need to shed more pounds to get in my ideal weight so it will be of great help. Also I need this Active Essentials Gym & Go Dri-Fit Vneck Tea for my everyday workout, Naks, workout talaga hano? Haha. Heto naman super sure kahit hindi naka-sale, pero mas okay kung nakasale. Ang gulo, haha! Bags, bags, bags!!! Hay, I can't really wait for September 30 na. To make it fair, I asked Daddy A ano naman gusto nyang mag-sale. Heto agad sabi nya! The Mcqueen Cars Work Bench and Mickey Mouse Musical Guitar will be for Matthew naman. He will surely love this work bench because since Daddy bought his tools, he's been bugging me to buy him play tools too. Finally, sana kasama din ang Cetaphil lotion sa sale. 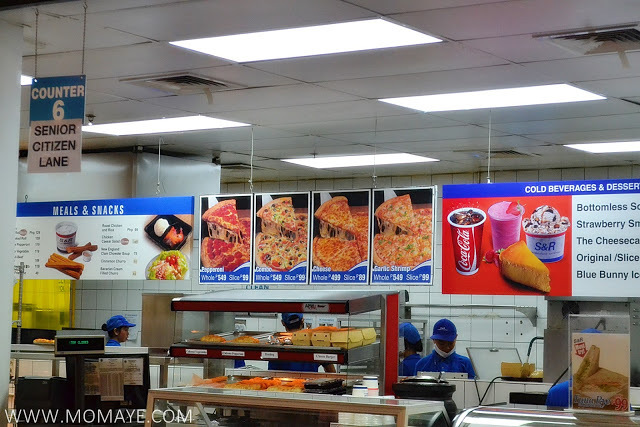 Oh, of course pala, I wish the S&R New York Style Pizza will be on sale too. Like? Super like! O sya save the date ha, September 30 to October 2. Store opens at 8AM until 9PM. 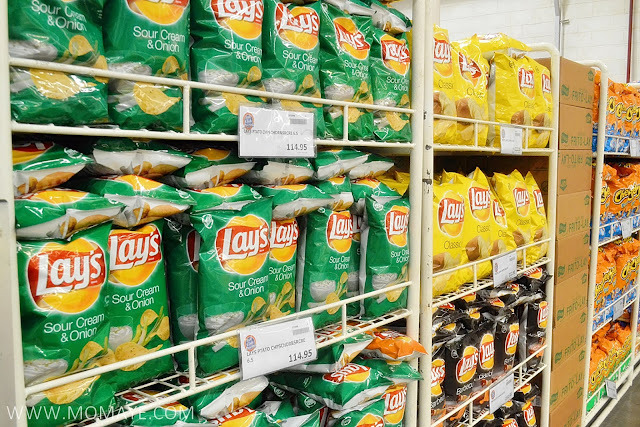 Reserve and save your money na for a bonggang shopping at #loveSnR Members' Treat. Have a fun shopping at #SnReveryday. For more details visit S&R Membership Shopping website and S&R Membership (Official) Facebook page. 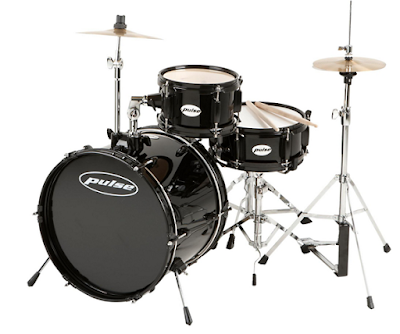 A Guitar or A Drum Set? Since Christmas is almost here, I am already thinking of what gifts to give to my loved ones. Of course, Daddy A and Matthew are on top my list. For Daddy, we already have an agreement of what Christmas gifts we will buy for each other. It is much better that way para sure na we like the gifts we will receive. Anyway, I don't like surprises naman plus we can plan its purchase or save for it, hehe. For Matthew naman, I am thinking of buying him a guitar. I already bought him a piano 4 years ago but he hasn't learn to play it until now. Busy kasi lagi and playing the piano must need a supervision. So I am thinking, learning how to play a guitar is much easier and he can start learning how to strum the guitar even without us. Please correct me if I'm wrong guys, hehe. So I asked him if he likes a guitar and he said yes. Then he added, "I want a mini drum set too." I said okay then I checked it online, and saw this one. 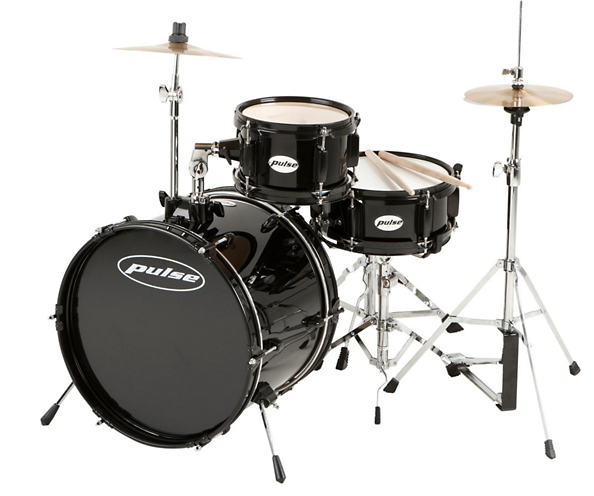 This mini drum set is so perfect for him! Although for me it's a little pricey, I'll start saving for it now na. For the mean time, I think I will buy him a guitar first. Since he loves to sing, guitar will be his best companion. If I were you dearies, a guitar or a drum set?